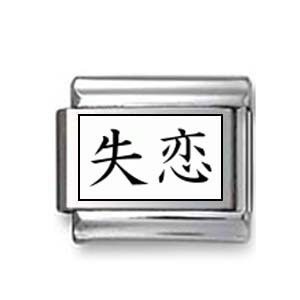 This Kanji Symbol Photo charm is perfect for the unique and elegant bracelet. The symbol means “Heartbreak“. This beautiful Kanji Photo Charm is perfect for any Italian charm bracelet. The charm is coated with clear and protective resin. You can, now, add Kanji Symbol to your stainless steel Italian Charms bracelet.